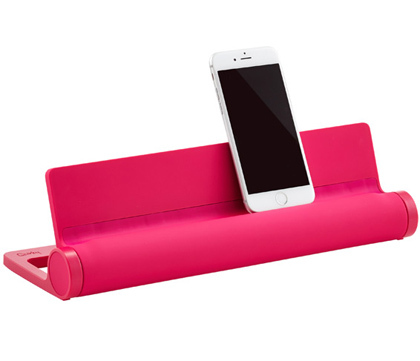 This Pink Converge POP Charging Station is a powerful, docking station for charging all your favorite gadgets. Perfect for an office, kitchen, dorm or on a nightstand. $49 Sale $34.99. Buy here. 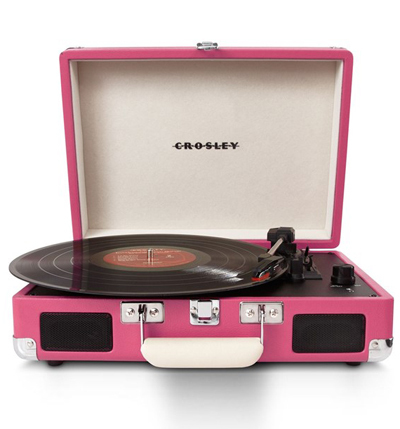 This sleek, three-speed Crosley Radio Cruiser Turntable emphasizes portability with a briefcase-style design, while built-in stereo speakers make it easy to enjoy and share your favorite vinyl. Also MP3 or portable audio device ready. Dynamic full range stereo speakers. $80. Free shipping. Buy here. 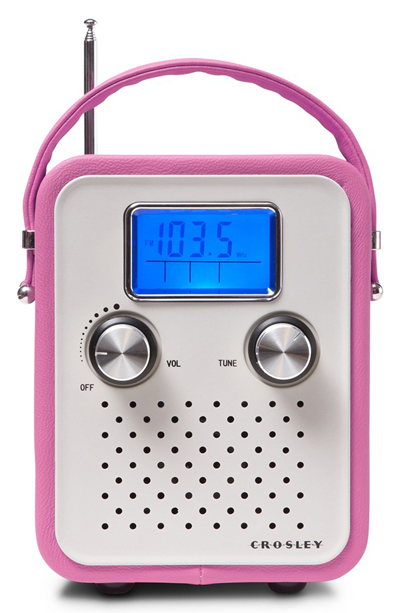 The Pink Crosley Songbird Radio is a compact, ultra-portable radio that exudes retro charm and doubles as a convenient alarm clock. 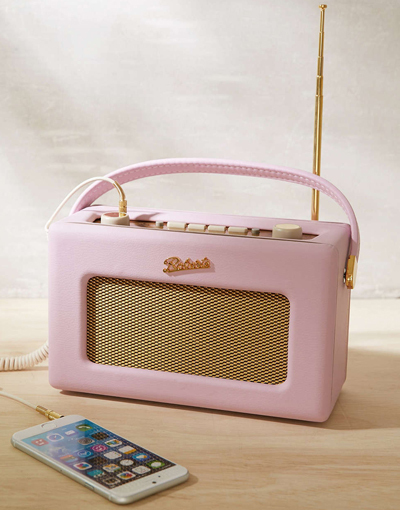 The ’50s-inspired design is MP3 compatible, letting you play your favorite tunes through the dynamic, full-range speaker. $40. Free shipping. Buy here.